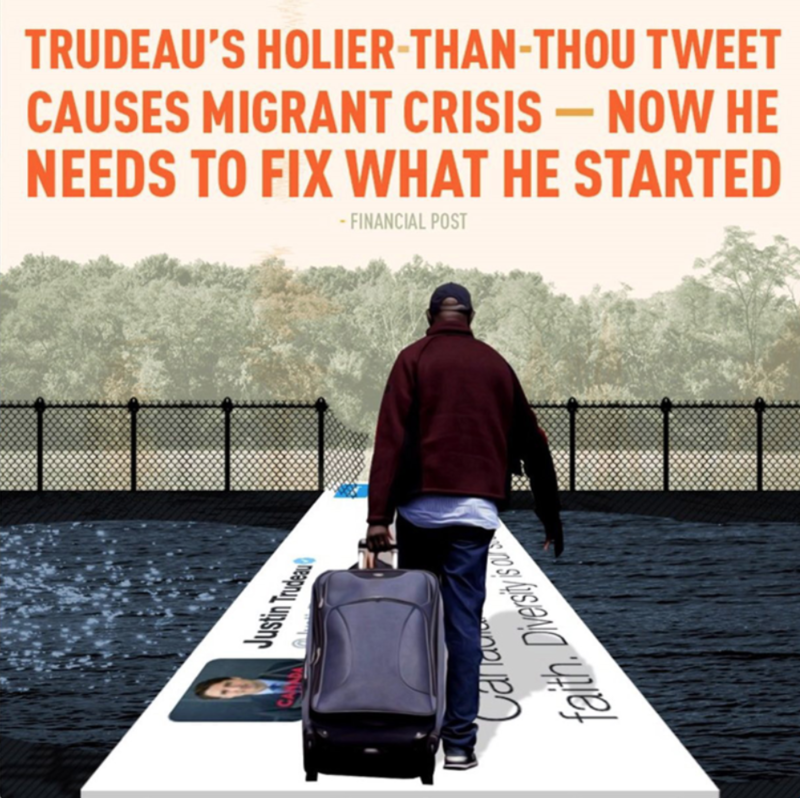 The Conservatives under Scheer have a history of embracing racism to further their political agenda. Recently Conservatives have made news coverage for racist and dog whistle attacks to further their political agenda. But this isn’t a one-time thing. Under Andrew Scheer, the Conservatives have a history of using racism and aligning themselves with far-right groups to further their agenda. Here’s a list of the many times Andrew Scheer and his Conservatives embraced racism or were connected to racist groups. Maxime Bernier launched a broadside assault on Canadian multiculturalism and diversity that was widely panned as racist and xenophobic. 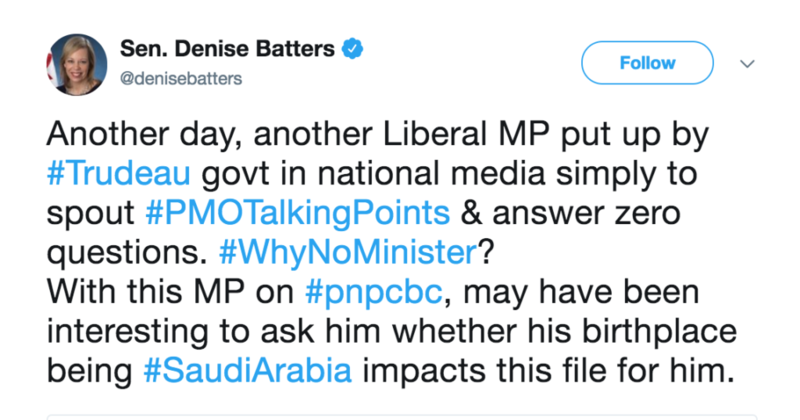 Andrew Scheer has yet to do punish Bernier for his actions. 6/ Cultural balkanisation brings distrust, social conflict, and potentially violence, as we are seeing everywhere. It’s time we reverse this trend before the situation gets worse. More diversity will not be our strength, it will destroy what has made us such a great country. It was rightly denounced by everyone. The Conservatives deleted the tweet after public outrage. She’s been involved in Conservative politics for a long time, including a local Ontario Progressive Conservative campaign in 2018. 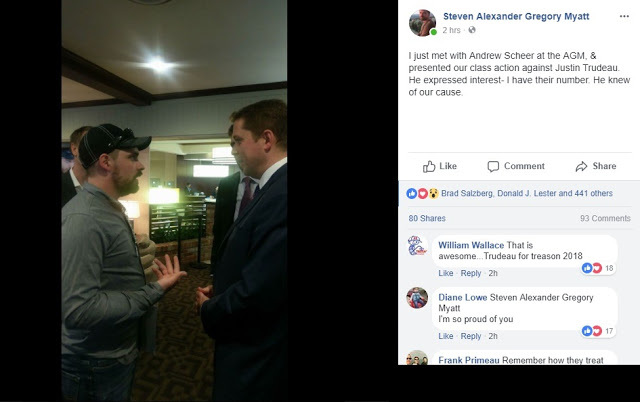 The Facebook group was set up for fans of La Meute in the nationalist Saguenay region, part of the Chicoutimi-Le Fjord riding where a federal by-election was held on Monday and where Mr. Scheer hoped to make inroads in Quebec before the 2019 general election. The Globe and Mail reported that the president of the Louis-Hébert riding, Francois Labrecque, had to resign after making anti-Islamic and homophobic comments on social media. 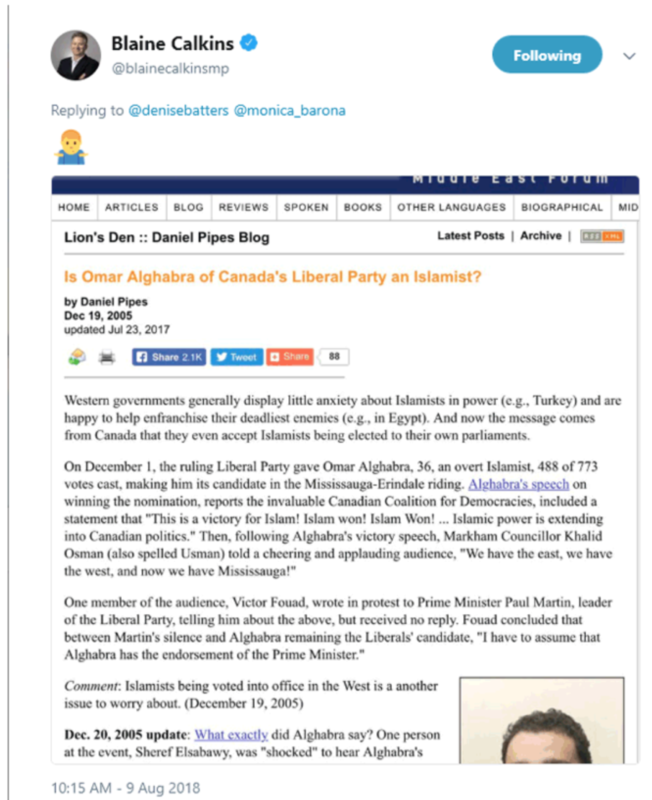 Steven Myatt wants to put Justin Trudeau on trial for treason because he’s allowing refugees and Muslims into Canada. In total, the records show Leitch’s campaign paid Rebel Media $56,500. Conservative MP Pierre Paul-Hus said the attack on La Meute was unbecoming of a Prime Minister, saying groups should not be targeted because of their vision of the country. “Canada’s Prime Minister must speak in a way that is respectful of people. Calling people bozos, those are not words that should come out of the Prime Minister’s mouth,” Mr. Paul-Hus said after Mr. Trudeau defended his comments. Hamish Marshall was a director of Rebel Media. He previously served as Scheer’s leadership campaign manager and now serves as the Conservative campaign manager for the 2019 election. The leader of Canada’s Conservative party declined to comment on Tuesday as at least three members of his caucus, including the deputy leader, moved to distance themselves from a far right website facing denunciations and resignations over its coverage of a deadly white supremacist rally. The silence from Conservative Leader Andrew Scheer came after he had previously condemned acts of racism, violence and hatred following a violent confrontation involving white supremacists and other extremists in Charlottesville, Virginia on Saturday that left Heather Heyer, a 32-year-old woman who was protesting racism, dead. Some federal Conservative leadership contenders have given interviews to a self-proclaimed online journalist who regularly posts accolades to the superiority of white people, along with diatribes against immigration in general and Muslims in particular. 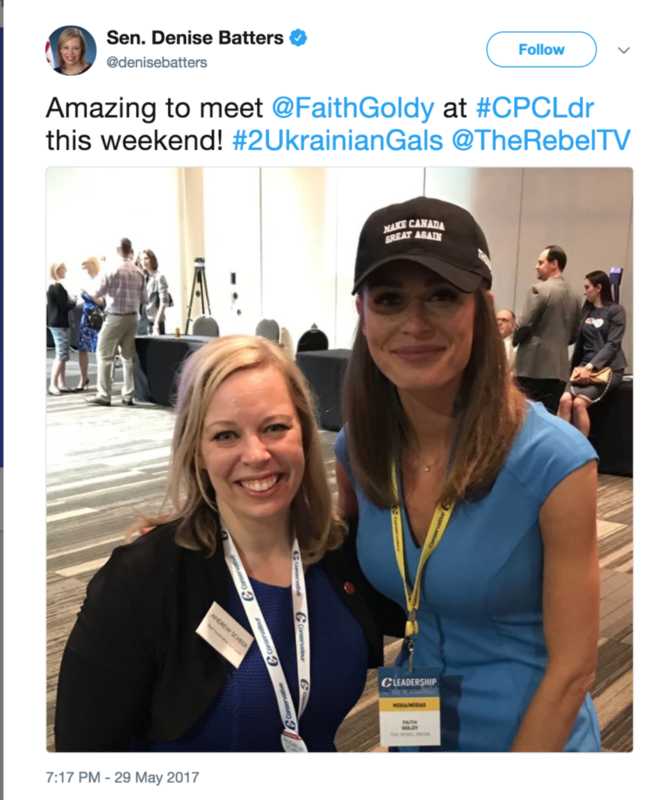 An analysis by PressProgress showed that 25% of Conservative MPs appeared on Rebel Media, including Andrew Scheer, Kellie Leitch, Tony Clement, Candice Bergen, Brad Trost, Maxime Bernier, Blaine Calkins, Peter Kent, Pierre Pollievre and Erin O’Toole. Did we miss any? Email hello@north99.org and we’ll add it to the list.